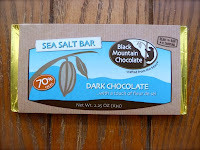 Today was Day #3 of Chocolate and Salt Theme Week, and I had the opportunity to talk to bean-to-bar chocolate-maker, Brent Peters of Black Mountain Chocolate (Swannanoa (near Asheville), North Carolina) about the company's Dark Chocolate with Sea Salt bar. The Black Mountain 70% dark bar base, was made with organic cacao from the Dominican Republic -- selected for its bright acidity. 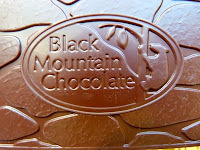 I found it to be flavorful and well-balanced with bright/acidic fruit notes and just the right touch of smoothness and bitterness that I appreciate in a well-crafted, fine-flavored cacao. I asked Brent Peters if he, or founder Dave Mason, had thoughts about an optimal amount of salt to use with chocolate. He indicated that their goal has been (with salt) to provide a partner (for chocolate), and not a focus. The use of fine-ground salt (from a local, Asheville, NC, based salt provider), adds balance without being a competitive flavor. 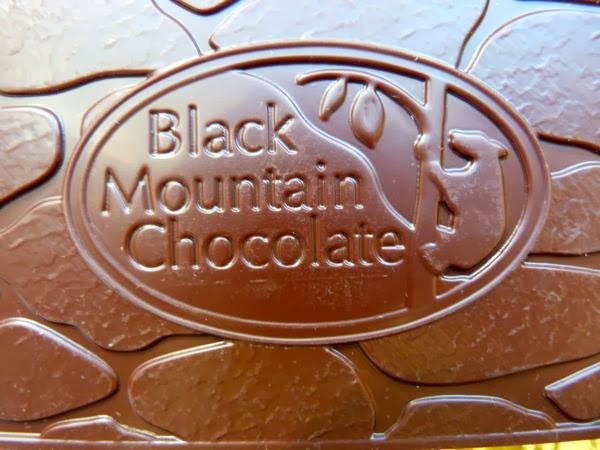 Future goals include opening Black Mountain Chocolate factory to the public (for tours), in the next year or two -- a move that would be a milestone in the journey from "hobby that got out of control that meant a lot to us" to growing the business and helping educate customers about who is producing their food, and how it's produced. Brent was recently interviewed by local (NC Wine and Food) radio host, Bob Bowles. 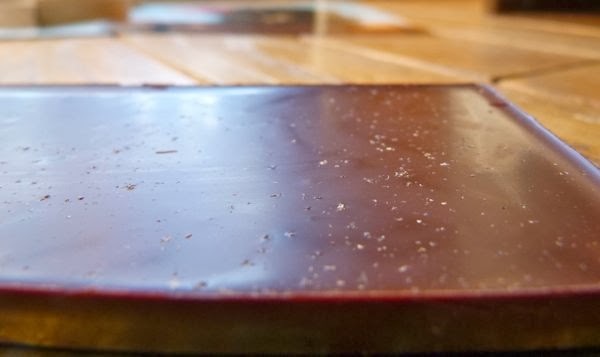 I'm including a link to this interview as I believe anyone wanting to know more about bean-to-bar chocolate-making might find this interesting.